I love simple stir-fries. The first time I ate this was in an Indian restaurant in Kuala Lumpur. This is what I came up with. I used the same method they normally used to make the Sri Lankan mallun so I guess my version is more Sri Lankan than Indian. Heat oil in a large frying pan or suitable pot and add the mustard seeds and let it start to pop. Add the beetroot mixture and stir fry the mixture till you get this lovely aroma of cooked beetroot and toasty coconut, about 2-3 minutes. Have a little taste adjust salt. 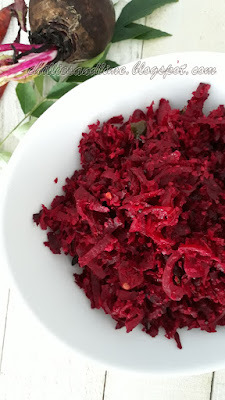 I love both beet and coconut, so this is a perfect stirfry for me! Hi Nammi, what an interesting combination...beetroot and coconut, and I am loving the color of this dish...thanks for the recipe. so good, love this recipe. 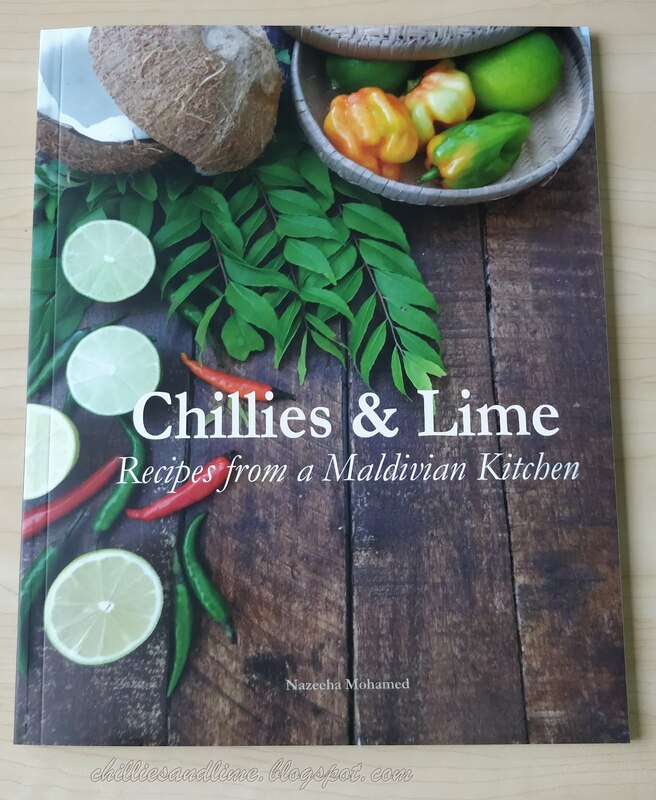 Assalaam Alaikum, I am Nazeeha or Nammi for my friends, Stay at home Maldivian mum of two beautiful boys, love cooking and browsing around for recipes.